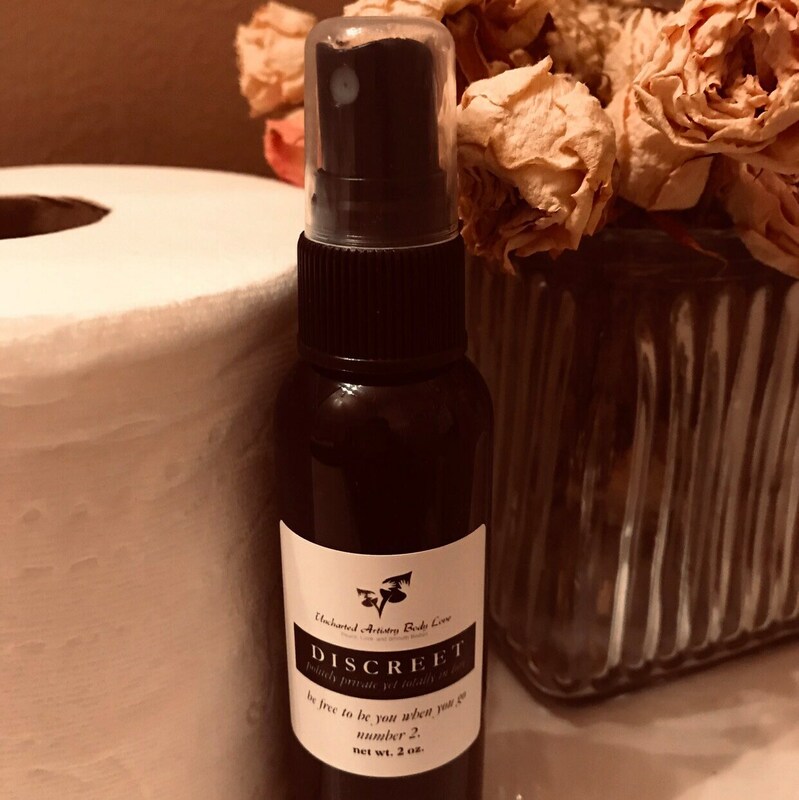 Discreet is our very own number 2 mist. Made from all natural ingredients including essential oils. So you can be free to be you when you go number 2. Simply mist inside the throne with 3-5 pumps and stop being nervous that someone like your significant other, best friend, or even your crush will walk in the bathroom after you. Be Discreet yet totally in love!